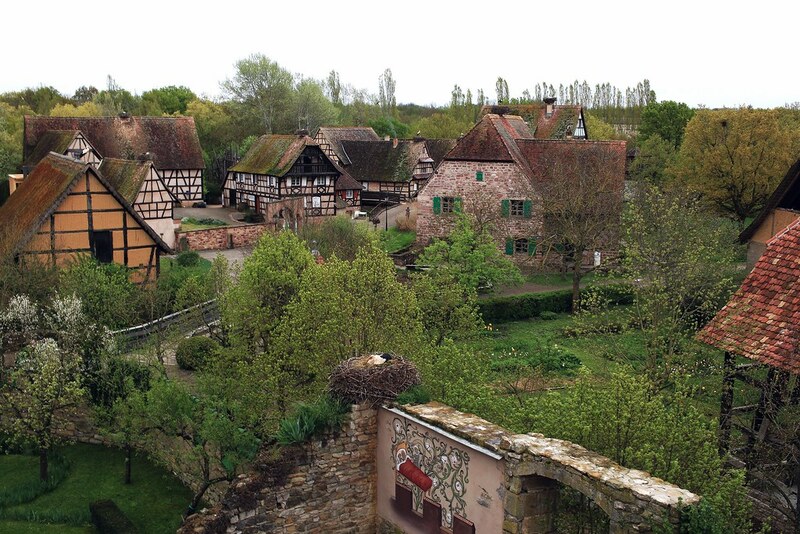 A landmark in Alsace and one of the best museums we have visited so far, the Ecomusée d’Alsace is a great experience and a great way to learn about Alsatian past traditions and crafts. The écomusées are a French creation, dating from the 1970’s and are much different than traditional museums that display objects. 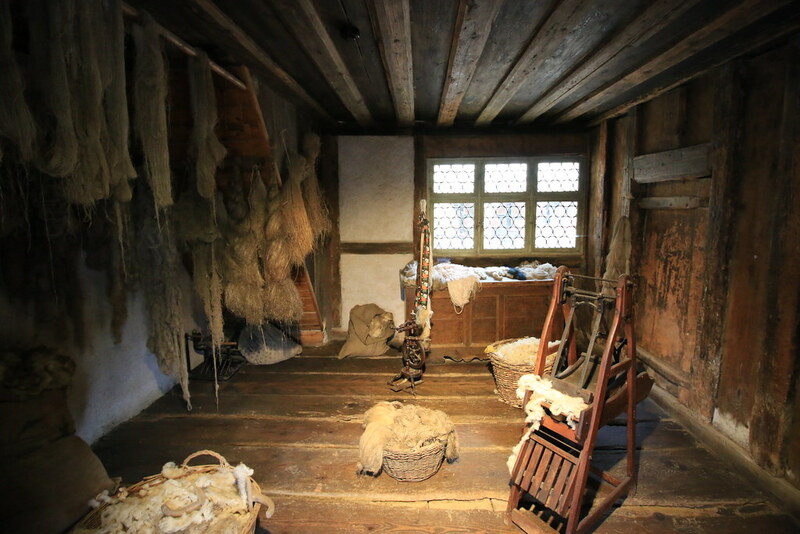 Ecomuseums focus on preserving tangible cultural heritage like houses or tools, and untangible cultural heritage like traditions, savoir-faire or crafts. In my opinion, someone who isn’t so much into Fine Arts museums for example, who finds them too boring or old, will have a great time visiting an ecomuseum since they are recreated living spaces where you walk around and enjoy activities just like you would in an actual village. So, if you are the kind of person bored by traditional museums, looking for a more entertaining way of educating yourselves : head to an ecomuseum ! What is the Ecomusée d’Alsace ? 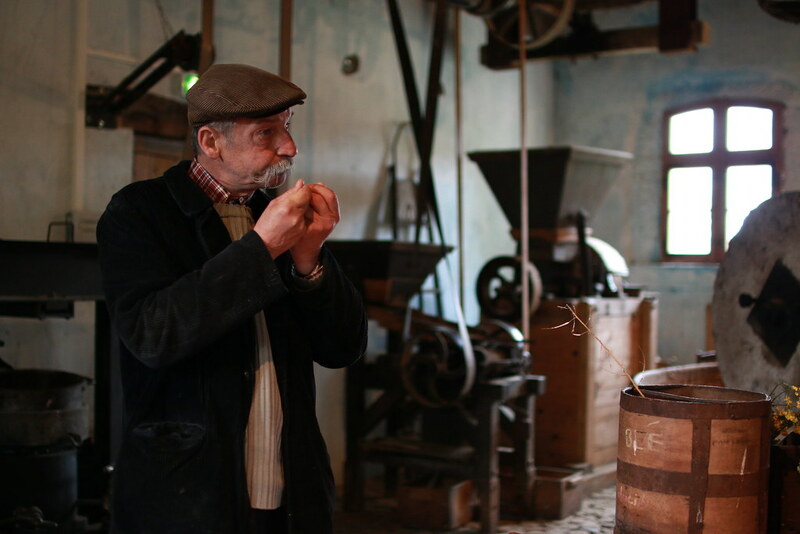 The Ecomusée d’Alsace recreates the rural life of 20th century Alsace, inviting visitors to relive the local traditions, crafts and art. The visitors walk around an actual village, consisting of houses, farms, shops, workshops, even a school and a boulangerie where you can buy tasty bread and tartes flambées. 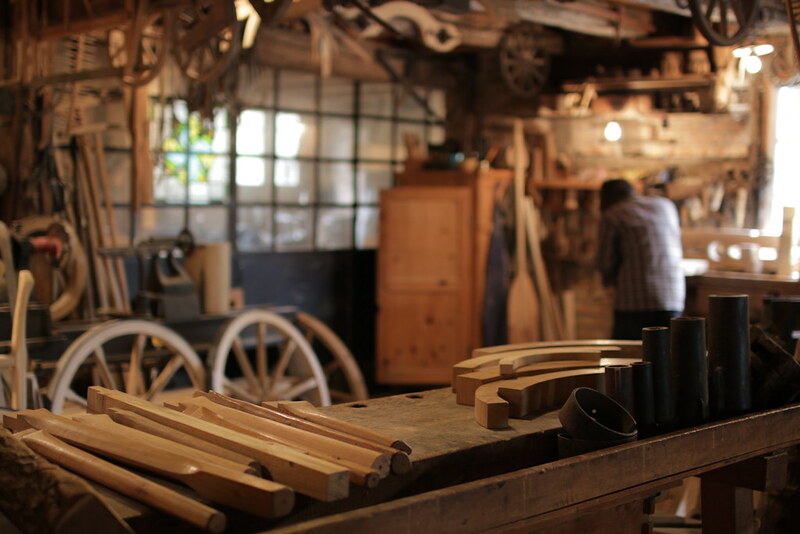 All day long you can enjoy a great variety of activities like watching craftsmen at work, following a guided tour on a horse or a boat, wildlife watching or visiting temporary exhibitions. In 1971 a group of students realising that the traditional Alsatian architectural heritage was under threat, decided to create the project of an Ecomusée in order to preserve this heritage. The first house to be saved from demolition was rebuilt on the site of the museum in 1980 and the museum opened to the public in 1984. 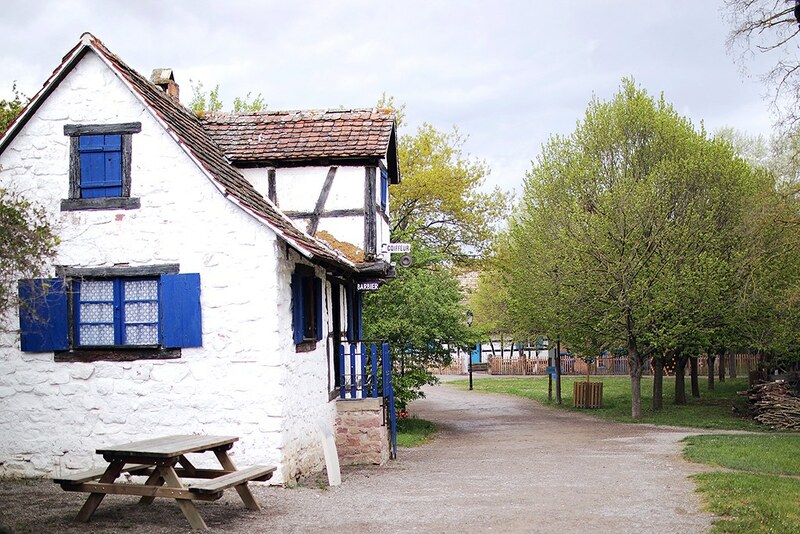 The Ecomusée site has now spread to over 100 acres, showcasing over 70 houses and buildings from 20th century Alsace, going from simple houses, to farms and craftsmen workshop. It is the largest living open-air museum in France and Europe. There are so many events and activities throughout the day it is nearly impossible to do everything. That is why you should really be there early (it opens at 10am) since you can easily spend your entire day there. 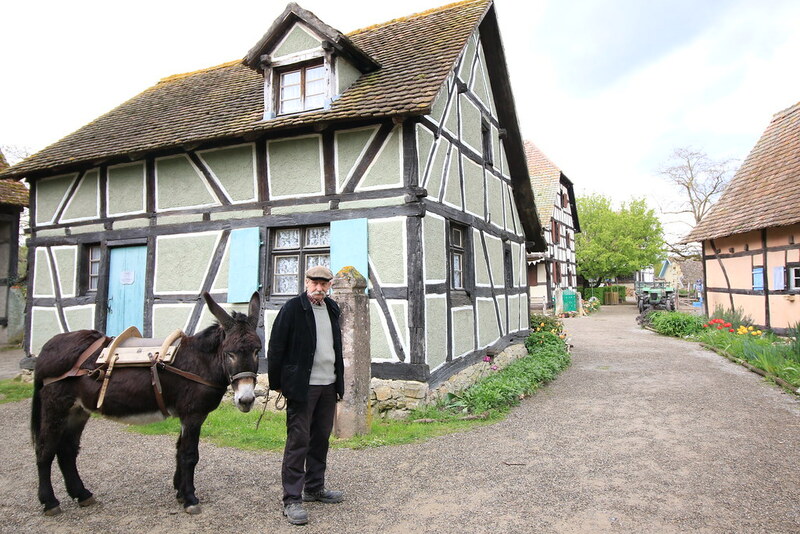 We followed a tour about the architecture of the Alsatian house, and learned about the craftsmen at work doing pottery and one at the oil factory. If it had been sunnier we probably would have gone on a boat tour around the museum’s wetlands and maybe on horse tour to explore the fields around the village. We truly had an awesome time there ! Soon a new area will be open to the public, showcasing a much actual representation of the Alsatian life. With the ‘living in the 21st century’ new area, the Ecomusée will turn into a museum not only featuring the past but also the present of today’s society and its future. Have you visited the écomusée d’Alsace ? What did you think ? Tell us in the comments below ! 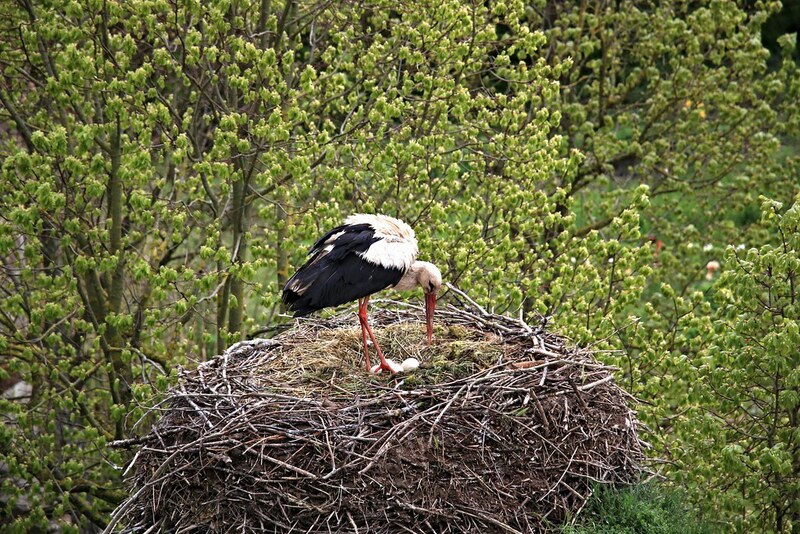 I love Alsace and I will return one day! It is pretty indeed ! Amazing! I’ve been to Alsace, but only to Strasburg. I love visiting open air folk museums, like Scandinavian “skansens”. I read once that in France people call it “ecomusée”, but never had a chance to visit one. Great!Thank to students. We visited a similar museum to Stcockholm,Skansen;it’s a very nice visit,do not miss.